With the holiday season in full swing and Christmas less than a week away, citizens of Colorado are preparing for more snow to fall from the sky. While many people love a white Christmas, most don’t love having to shovel their sidewalks and driveways before company arrives. While the high country has received plenty of snow this winter, people in Fort Collins and along the Front Range haven’s seen much of the white stuff. But when it does arrive, call on Advanced Landscaping and Sprinklers to handle your snow removal services in CO. The forecast is calling for the chance of snow over the next week or so, and when it does start to fall, it’s important to be prepared. 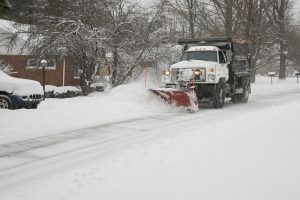 Advanced Landscaping and Sprinklers is always prepared, and we have truck-mounted plows and skid-loaders with buckets that can move large amounts of snow in little to no time at all. If you’re hosting a large family gathering on Christmas Day, but don’t have enough space for cars because there is too much snow, call on us and we’ll be there to clear the way to your front door. While we’ve enjoyed somewhat of a mild December thus far, the snow isn’t far away, so when you need snow removal services in CO, remember to contact us right away. We’re available Monday through Saturday, and will work hard to clear your property of snow. If you’re satisfied with our service, please take the time to leave a testimonial on our site!